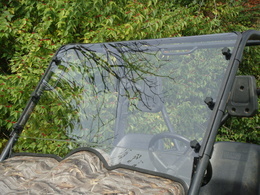 Yamaha Rhino After Market Lexan Windshield-Retail Value-$499.99-ON SALE NOW for $399.99! At GCL UTV , we offer both solid one piece and two piece split windshield options for the Yamaha Rhino. 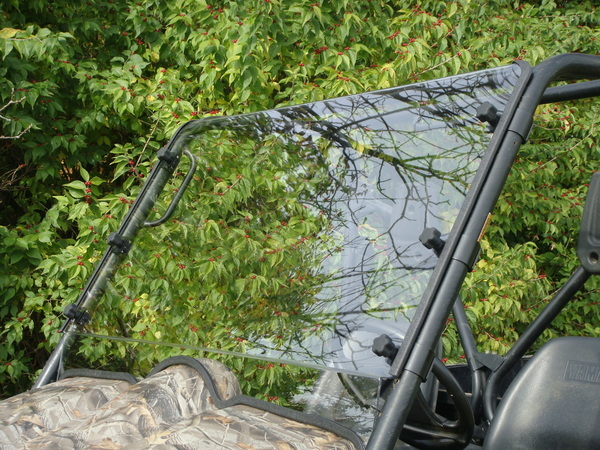 And with the quick connect clamp system, you can take the windshield off or put it on in about two minutes without any tools after the first installation. 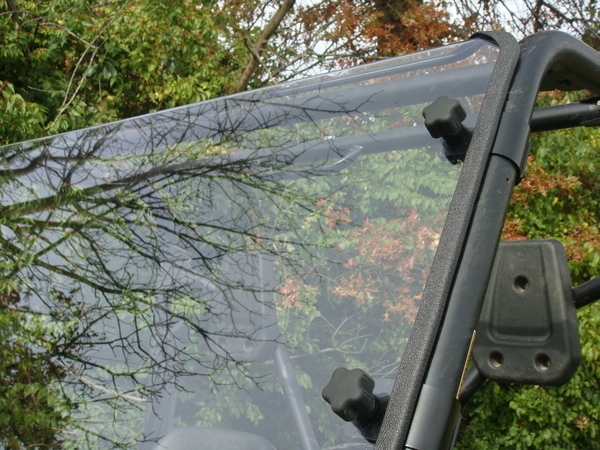 We also use rubber molding around our windshields for a tighter fit and vibration reduction. 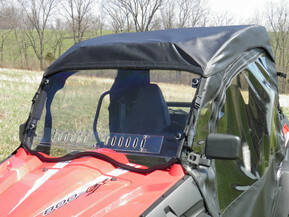 Our Lexan windshield for the Yamaha Rhino is truly top of the line. We use the best clamping system available.......Quick Connect Clamps. The Quick Connect Clamps make installation a breeze. After installation, if you ever need to remove your windshield, just unscrew the knob bolts. The clamps stay on the rollbar for easy re-installation. We also like to line the bottom and the sides of our windshields with a heavy duty rubber molding. This prevents any rattle during your ride. 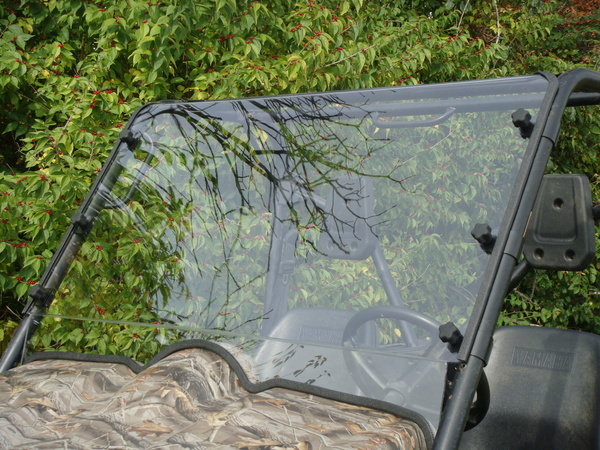 All in all, the GCL UTV Lexan windshields are a superior windshield. The windshield comes with installation instructions to make the install easy.